For most puppy owners, poop is just a frustration that they'd rather not deal with. You're trying to prevent your puppy from pooping inside, so the less you see of it the better right? In reality, you should be taking a good look at your puppy's poop. A dog's poop can say a lot about what's going on in their body. In fact, it's often used by veterinarians to evaluate their health. While it's important to monitor your dog's stool throughout their lives, it's imperative throughout the puppy years. Young dogs are susceptible to a host of health issues. Their poop will change in appearance as they develop and make the switch from milk, to soft food, to standard kibble. 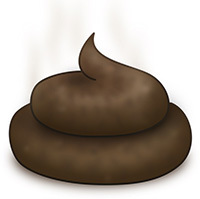 As a dog owner, it's important to know what normal and healthy poop looks like. With this information in mind, you can keep an eye out for discrepancies and provide your pooch with the care they need if issues come up. While dog poop isn't the sole indicator of your puppy's health, it's one of the few things you can see every day. 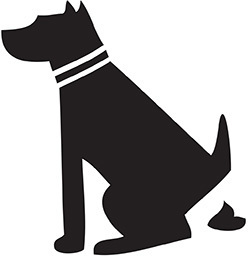 The appearance of your canine companion's poop can vary from day to day. Usually, small differences are no cause for concern. When you're examining your pup's stool, here are some things to look for. As food travels through your dog's body, it's digested and various nutrients are absorbed. The final product when it leaves the body should look brown. While the exact shade of brown can vary, it should be a medium brown that's similar to milk chocolate. This indicates that the food and nutrients were absorbed fully and that your dog is properly hydrated. 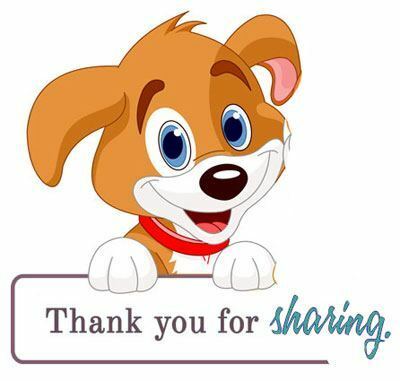 The number of times your dog poops each day should be consistent. Typically, dogs will do the deed once or twice a day. Some dogs may even go upwards of four times a day. However, the key is consistency. If your dog goes from pooping twice a day to four or five, they may be having problems. Poop should be relatively firm and come out in segments. Each segment should be approximately two inches long. If the poop comes out as a single soft piece, this means that it has too much moisture. Your pup's body may not be absorbing enough water. If it comes out in small pellets, your pup may be constipated. The exact consistency will develop over time as you change their diet. For example, it may appear wetter if they're still suckling from their mother or you're just beginning to wean them off. Give it some time to develop as their intestines get used to absorbing different foods. The volume of your puppy's stool should be relative to their size and weight. You should be concerned when the poop appears smaller or larger than normal. Smaller stools may indicate that your pup's constipated while too large of a poop may reveal that they're not absorbing the food properly. When you're puppy does their business, there should be poop and nothing else. The stool should be consistent in content throughout. If there's anything visible in the poop, it's likely something that they weren't able to process. Now that you know what normal poop looks like, there are a few things you should keep an eye out for. There are a number of health issues that manifest themselves in your pup's poop. If you spot any of these discrepancies regularly, bring your pooch to the vet for a proper analysis and diagnosis. Differences in color can indicate issues within the digestive tract. These colors can be found in streaks in the poop or color the entire stool sample. Black poop actually represents blood. The blood changes color as it travels through the intestines, so black poop shows that there's bleeding in the upper part of the digestive tract or in the stomach. If the poop has red in it, that may mean that the blood is relatively recent. This can indicate bleeding in the lower intestines from scratches or hookworms. Yellow or orange poop may represent a malfunctioning liver. It's often an early sign of liver disease. White or gray stool can be caused by a few different issues. Typically, it's because of issues with how the pancreas or gallbladder operates. Usually, greasy poop isn't a major health concern. It may mean that your puppy has been consuming too much fat. It may be from their dog food formula or because they got into your trash can and ate some greasy leftovers. Either way, examine your dog's diet, make the changes you need, and wait a couple of days to see the change. Mucus is another story. Typically, mucus is generated within the intestinal tract because of irritation. When your dog consumes something their body doesn't agree with, the intestines may swell up and produce mucus to protect the absorption cells. You may notice your dog eating grass to relieve the pain. Usually, the problem will subside within a couple of days. Worms are more common than most people think. They're not always a sign of poor care. They can get worms by accidental consumption of an infected flea, contaminated soil, and much more. Worms are expelled through poop. If your dog has worms, you'll notice it. They're white and stand out against the brown color of the stool. In many cases, they'll be wriggling around and even make their way out of the poop. When worms are present in the poop, it means that there's still some inside your pup. There are a number of different species of worms that make your dog's intestines their home, but only two can be seen in poop. Roundworms are the most common and look like thin smooth tubes. Tapeworms are smaller and look like rice. These are just segments of a much longer worm. You may also notice tapeworm eggs, which look like sesame seeds. If you see any type of worms in the poop, seek veterinarian care as soon as possible. There are a number of foods that dogs aren't able to digest. These include corn and grains. To avoid this, go for a quality dog food formula free of corn and soy. You may also see other types of foods that aren't grains. If that's the case, your dog may be allergic to the ingredient. Your dog's body isn't able to process the food. If you continue to see it, take the food out of their diet. While it may be unpleasant, it's always good to monitor your puppy's poop. It'll give you a good idea of their overall health condition and can help you make sound decisions on what to feed them. If you see things that are unfamiliar, there's no need for immediate. In most cases, problems will resolve on their own. However, if issues continue, it's important that you provide your growing puppy with the care they need.